If you appreciate the movie as most people who have seen it, then you will love the new iPad app that Matthew Modine has released. 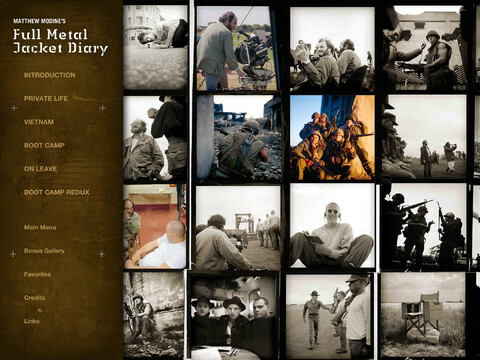 The star of Stanley Kubrick’s 1987 film decided to release the app, dubbed Full Metal Jacket Diary, because of the amount of material he had collected while keeping an actual diary as they filmed the movie. The Full Metal Jacket app features the actor’s thoughts as he originally penned them while filming, which is actually the content of Modine’s metal-bound book – unfortunately out-of-print now. Of course, with the possibilities that the iPad provides, the Full Metal Jacket app offers a more immersive experience. 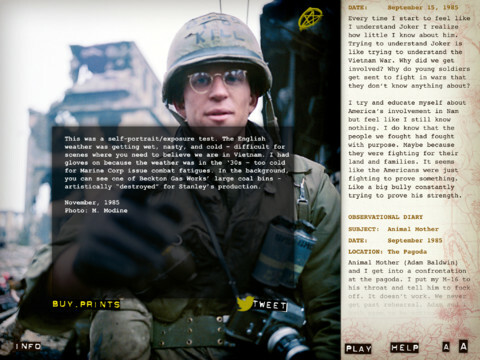 Here are the full features of the Full Metal Jacket Diary app. – Select your favorite photos and tweet your friends! – Links to related articles, videos, content, and much more! For $14.99, you can enjoy all the behind-the-scenes action you can ever want!